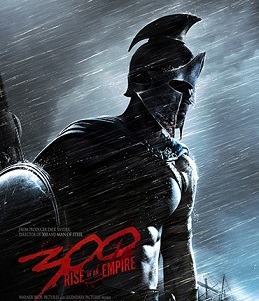 Based on Frank Miller’s latest graphic novel Xerxes, and told in the breathtaking visual style of the blockbuster “300,” this new chapter of the epic saga takes the action to a fresh battlefield on the sea as Greek general Themistokles attempts to unite all of Greece by leading the charge that will change the course of the war. Following divorce from his wife and the loss of his son to a rare genetic mutation, Canadian geneticist Geoff Burton relocates to the harsh, wintry scenery of Dresden, Germany to work on groundbreaking new project that might just be his key to redemption. When teamed up with his former intern and colleague Rebekka, he starts working on a human regenerative gene with direct ties to his personal tragedy, yet matters prove increasingly difficult: jealous co-workers' feelings are ruffled, old flames are rekindled and personal demons become consistently harder to suppress in this new and oppressive work environment. Still haunted by the memory of his wife and his failures to have saved his deceased son, Burton finds himself maddeningly close to a medical breakthrough, yet quickly spiralling out of control. Collapsing his career and personal life into a dark and increasingly dangerous tunnel-vision of competitive genetics, delusions of all kinds and the terrifying potential of massive discoveries gone awry, Burton is quite literally the stranger in the strange land. The question remains: how far will Burton be willing to go to atone for the errors of his past? Released in UK cinemas on 14th August 2013. 2 Guns is an upcoming American action-crime-drama film directed by Icelandic director Baltasar Kormákur and starring Mark Wahlberg and Denzel Washington. Based on a graphic novel of the same name by Boom! Studios, the movie is set to release on August 2nd, 2013. An elaborate scam has a DEA agent and a Naval Intelligence Officer investigating one another in belief they are stealing money from the mob.